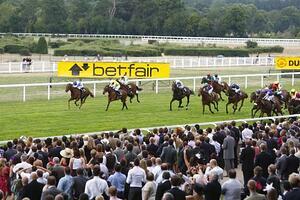 Betfair turned to Minitab when a crucial process for helping new customers get started needed improvement. The company invests heavily in different marketing activities, including an outbound marketing team that communicates with customers from all over the world. Outbound marketing teams make phone calls to guide newly registered customers through the betting process and to answer any questions they may have along the way. The teams measure the success of these phone calls based on two metrics: customer contact and conversion. A good contact occurs when an agent reaches and talks with a customer for longer than 1 minute, and a poor contact occurs when a customer doesn’t answer, or briefly answers and expresses disinterest right away. A conversion occurs when contacted customers go on to place bets of any kind or amount. The Spanish outbound team used Minitab when they had a challenging goal—to increase both contact and conversion rates by 15%. With the help of Minitab Design of Experiment (DOE) tools, the team quickly obtained meaningful results they could use to draw conclusions about how significant factors affected contact and conversion rates. This analysis revealed that customers should be contacted around the same times they were found registering online. The Minitab analysis also showed that afternoon/evening calls on the same day or very next day were effective. The bottom line: the quicker the outbound team could make follow-up calls after customers had registered, the more successful the team would be in contacting customers that wanted to place bets. The process for contacting customers was reformed, and the new process improved the team’s conversion rate to more than 65%—an increase of 37%! The quality improvement project resulted in a gross revenue benefit of $444,300 for Betfair. Read more about Betfair’s success with quality improvement in Minitab Case Studies and Testimonials.